What should you know about teaching English in Mexico? Those US Americans that teach English in Mexico are able to experience a foreign country and culture without traveling very far from home. There are also large expat communities in many Mexican cities which can be excellent resources for new arrivals. The weather is always beautiful and the cost of living is much lower than any American city. Our Recommendation: Get TEFL certified to teach English in Mexico with the accredited 120-hour Let’s TEFL online course, now available for an unrivaled price. Check the course details here. And, an educational reform mandating that English be taught as a second language means more job opportunities for foreigners. I spent over 4 years living and working in Mexico as an English teacher. I started in Guadalajara, where I attended a 4 week TEFL diploma course with ITTO (International Teacher Training Organization). From there, I went to work in Mexico City for 1 year and then Veracruz for 2 years. I had a short stint living in Cancun before I decided to move to El Salvador. Overall, my experience in Mexico was amazing. I loved the people, working and traveling around the country, and of course, the food. There are plenty of opportunities for English teachers in Mexico but much of it depends on the lifestyle that you are looking for. Below are some useful tips about teaching English in Mexico. What are the Qualifications to Teach English in Mexico? How Do I Get a Visa to teach English in Mexico? Qualifications vary greatly depending on the type of employer. Unlike most Asian countries, teaching in Latin America, including Mexico, is much easier without a university degree. It is very common for native speakers, without any formal teaching experience, to be hired as English teachers. Generally, however, teachers with TEFL/CELTA qualifications and/or universities degrees in English or an educational field are preferred and will receive higher salaries. While educational reforms have created a greater demand for English teachers in general, there are also educational reforms aimed at finding qualified instructors across the board. Teachers in public and private schools must attend monthly in-service training and eventually, all English teachers will have to have teaching credentials. Visitors from North America and Europe receive an automatic 6-month tourist visa when entering the country. The tourist visit does not give permission for lucrative activities, but you can start your job hunting and most jobs will hire teachers without a work visa. In my experience, the only organizations that seem to request a work visa are international schools, some high-end bilingual schools, and universities. Option 1: Enter Mexico on a tourist visa and begin job hunting. Find an employer sponsor and complete the visa process. Then, you must leave Mexico (you do NOT have to go to your home country, just outside of Mexico) and receive your work visa at a Mexican Embassy. I choose to do this in Guatemala, but many people head north to the US as well. You will need to spend at least 3 business days outside of Mexico and make 2 trips to the Mexican embassy, one with the visa paperwork and one to pick up the visa. You will need to leave your passport with the embassy for those 3 days as well. Option 2: Look for an employer sponsor from abroad, when you want to teach English in Mexico. Complete all the necessary paperwork at a local Mexican embassy, receive your work visa and enter the country to begin working right away. This option is much better financially, since you will be able to continue working while you wait for your visa, and you won’t incur extra expenses leaving Mexico to receive your visa, but it is also much more difficult. Most employers want an in-person interview and prefer people who already live in the country. The immigration process is similar to those of other countries. You will need to produce your birth certificate, passport and immigration forms. Your prospective employer will have to draft a letter stating their intent to hire you and include details of your position and salary. The visa fee increases each year but is typically around $350, depending on the type and the exchange rate. While the process should be uniform throughout Mexico, people have very different experiences. I applied for my visa in Veracruz and was in the office no less than 10 times, each time they found a different paperwork error before I demanded that my employer come with me. When he did, there were magically no more errors and my application was accepted. With the time off to visit immigration over and over again, taxi fares, the visa fee and my trip to the Mexican Embassy in Guatemala to actually receive my visa, the whole process cost well over $1,000. What kind of things are cheap in Mexico? People constantly ask about the cost of living, but it is difficult to give an exact answer. A person’s cost of living depends on lifestyle and preferences. I will detail my experience but keep in mind that you may spend more or less than I did. The cost of living in Mexico is much lower than in the United States. The biggest difference, in my experience, is the cost of rent. I have lived in a variety of settings, from small, rented rooms to 1 and 2 bedroom apartments, ranging from $80 to $250 a month. All of the places that I lived in were quite modest. Most cities in Mexico have a very efficient public transportation system. The whole time I lived in the country, I never had my own vehicle. Not having a car payment, insurance premium or to pay for gas each week was a huge financial relief. Many buses cost less than $1 and the metro in Mexico City is less than .50 cents. In general, bus transportation in Mexico is very popular, safe and economic. Bus routes cover most of the country and include many options that airlines do not service. Budget airlines are also gaining popularity and adding new routes all the time. Medical costs, such as doctor or dentist visits and medications, are much cheaper as well. For minor illnesses, like a cold or food poisoning, you can see a doctor at the pharmacy for free. For more serious issues, doctor appointments can run $3 – $5 for a general/family doctor or $10 – $15 for a specialist. For emergencies, I recommend the Red Cross. I had a middle of the night sudden onset of pain, which turned out to be a UTI. The emergency visit, injections, and medications cost less than $15 total. Keep in mind: these are prices from my personal experience. If you see a doctor in the hospital or prefer one that speaks English, expect to pay a premium. Fruits and vegetables are much cheaper if you are able to purchase them at a traditional outdoor market. Services, such as haircuts, manicures, and massages, are very low priced. What kind of things are expensive in Mexico? Meat, fish and packaged food are the same prices, if not more expensive, than in the US. Anything imported will be more expensive as well. Supermarkets are not nearly as competitive, as there are much fewer options in Mexico. Also, coupons are not accepted. Fast Food and brand name restaurants are at least the same prices as in the US, but since you will be making a lot less money, this will eat up a larger percentage of your spending money. Many chains, such as Pizza Hut and Dominos, do not offer the same competitive deals as they do in the US either. Brand name clothes, accessories, and electronics are much more expensive than in the US. I would purchase new clothes and a new laptop when I went home for the holidays. In addition, certain luxury items are very expensive, like tampons, contacts and contact lens solution. I would purchase these in bulk during my holiday visits, and bring back enough to last 6 months-1 year. To give you an idea of the savings, a bottle of Target brand contact solution that costs $2.50 would run me $12 – $15 in Mexico. If you choose to live in a rented room, apartment or house, it will most likely be different than your accommodation in your home country. Mexican homes are much more modest in general. Carpeting, backyards, and bathtubs are very uncommon. If you are willing to pay more, you can have air conditioning or hot water, though many people choose not to because of rising electric rates. An important thing to know is that unfurnished apartments come completely bare. You will have to invest in a stove, refrigerator and washing machine. Laundromats are not common, but for a higher cost you can drop clothes off at a local business that washes, irons and folds them for you. Most people will wash their clothes by hand instead. Appliances are quite expensive but you can save money by buying them second hand. There are always expats coming and going, so try Craigslist or a Facebook buying/selling group for used items. As an English teacher, you will have several options for employment, which each having its pros and cons. Below is an overview of the most common employers for English teachers. Language schools usually operate in the late afternoons/early evenings and on the weekends. They service all ages, from pre-school to adult. If you choose to work in a language school, you will have group classes of either children or adults. Language schools range in pay, quality, and treatment of teachers. Some schools will pay teachers as little as $5 an hour and some up to $20. This largely depends on the clientele, area, and reputation of the school. Since language schools are optional and customer service based, much of the curriculum for children is focused on fun, and not necessarily learning. You may feel like more of a puppet than an English teacher at times. Of course, this varies from school to school. Reputable language schools will have a serious curriculum, assessments, and certificates or the option to get certified through Cambridge or TOEFL exams. As the middle class continues to grow in Mexico, bilingual schools are popping up everywhere. Many bilingual schools prefer hiring native English teachers, even if they do not have teaching qualifications. Pay in private schools ranges from $500 a month, on the low end, to $1,500, on the higher end. Be aware that some private schools are in the business of education. Native teachers can be employed more for show than for actual teaching ability. Since foreign teachers are often paid more than local ones, there can be a strong resentment among departments within a school. The best bilingual schools to work for are international schools. Depending on the city, these schools provide top salaries, rent stipends or paid apartments, health insurance and paid vacation. These schools are one of the few employers who will only hire qualified teachers, which means a TEFL diploma, university degree or both. One of the additional benefits of working in a bilingual school is the immediate option to work as a private instructor after school. Parents will hire private tutors if their children are struggling in English. Rates can be set by the teacher or employer, and range from $8-$15 per hour. Sometimes, it is worth it to accept a lower salary if you can use the school facilities to give private classes. I used to make an extra $300-$400 per month on private students alone. Company classes are the most popular in Mexico City, Guadalajara, and Monterrey. These are the best per hour rates for English teachers, but they require the teacher to travel to give on-site classes at the company. Depending on where you live, travel time may or may not be worth it. Business English teachers can earn $10 – $25 per hour. Most classes are 1 and ½-2 hours long and can have from 1-10 students. To be successful teaching company classes, you need to strategically accept or decline offers, based on where you live, what company you are going to next, how often and how many hours per week and how much it pays. Business English teachers will often work early in the morning and late at night. Because of the time constraints, company classes rarely provide full-time hours. But, based on the higher pay, it is possible to earn a livable, monthly salary on a part-time schedule. For example, 15 hours per week of company classes that pay $15 an hour adds up to $900 per month. This is an average full-time school teacher’s salary, at 40 – 45 hours per week. University positions are highly sought after. They are usually the highest paid positions for teaching English in Mexico and include light schedules and motivated students. University teachers can earn $20-$30 an hour, depending largely on the university and the location. University positions are very difficult to get. They require qualified, experienced teachers and positions usually go to a friend of a friend. In my experience, working per hour, as opposed to a monthly salary, provides the highest rate of pay. Many per hour jobs are not full time, so you should try to find 2-3 part-time jobs that suit your schedule. You could combine morning company classes with afternoons and weekends at a language school. Private students are a great option for a high hourly rate. You could try posting local advertisements or visiting bilingual schools in your area for student referrals. 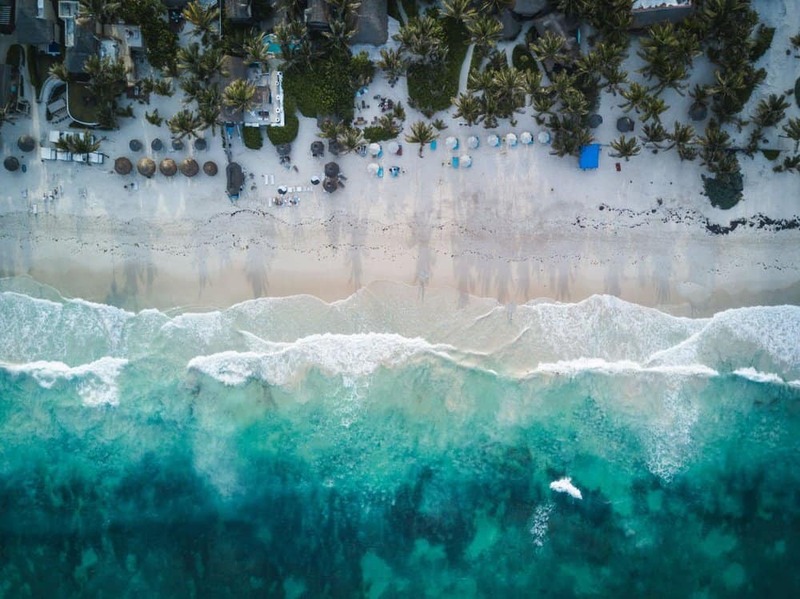 Unless you are teaching English in Mexico at an international school, you most likely won’t have health insurance or paid vacation, so you won’t be losing out on any benefits by taking a part-time position. While I lived in Mexico City, I worked for 2 separate language companies that provided company classes. When I went to live in Veracruz, I worked for a bilingual school full time and did private classes after school and part-time classes at a language school. While I wasn’t rich, by any means, I always lived very comfortably in Mexico. My rent was always below 20% of my salary, so I was able to use the extra money to travel extensively throughout Mexico and Central America.